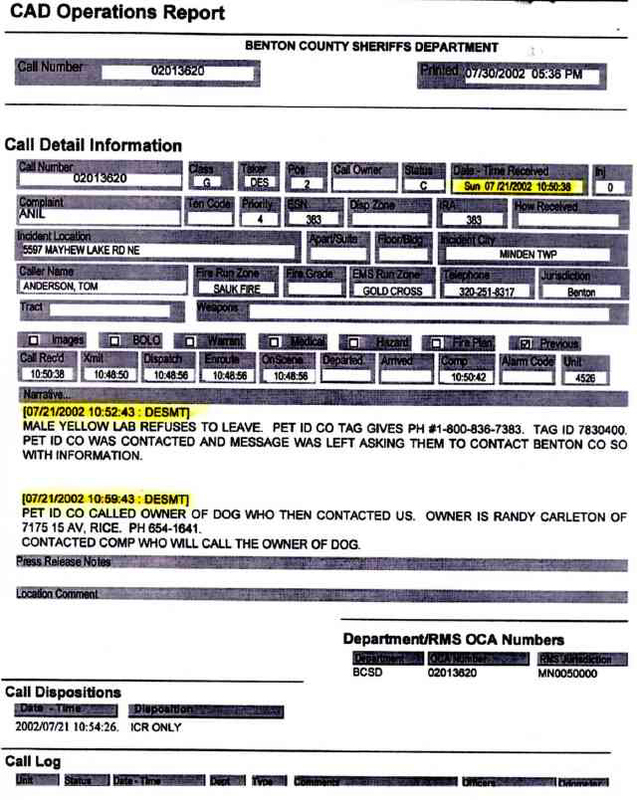 The following is an actual police report demonstrating the effectiveness of the Pet*iD Short Cut Home tracking system. Notice the highlighted times from start of incident to resolution. Pet*iD can be useful in as little as 10 minutes!